The founders of Panchavarnaswamy Temple, built during India’s ancient Chola period, may have predicted the arrival of the bike by hundreds of years. A carving of a modern bicycle has been found on the wall of an ancient 2,000-year-old temple. The founders of Panchavarnaswamy Temple, which was built during India’s ancient Chola period, may have predicted the arrival of the bike by hundreds of years if these images are correct. 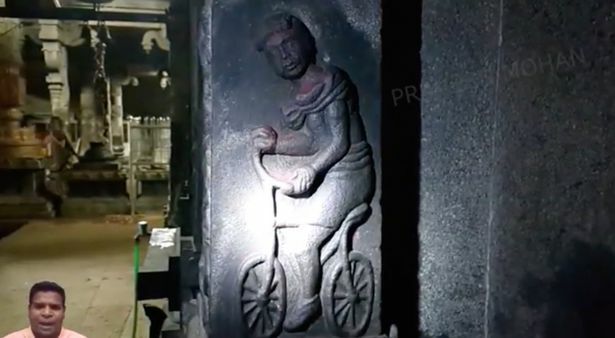 Praveen Mohan, who found the carving and posted about it on his YouTube channel, said: “In a dark corner on one of the walls we can see this amazing carving of a man riding a bicycle. The world’s first chain-driven bike was developed in around 1885. Mr Mohan uploaded footage of the discovery online and, sure enough, the carving bears and uncanny resemblance to the kind of bike you’d see today. But there is one possible explanation. 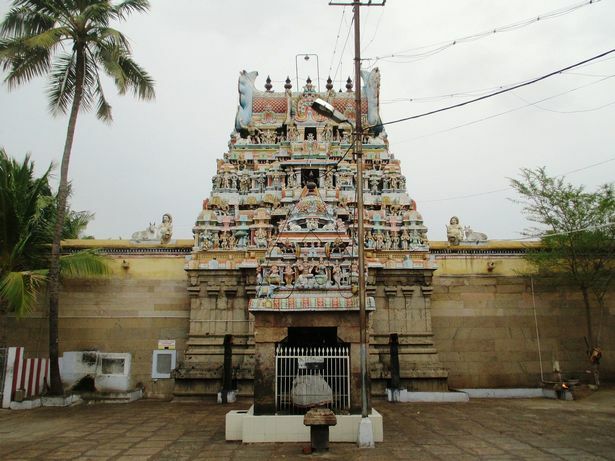 Opthalmologist and amateur historian Dr R Kalaikovan also wrote of his bemusement of the sight of the bicycle carving in Panchavarnaswamy Temple. Research led the doctor to discover the temple was renovated in the 1920s when bicycles were mass market products. This seems a plausible explanation but nothing is known for sure how this intriguing and ornate carving came to exist.